The morning started out badly: 40 degrees, cold wind, and drizzle. After such a beautiful day on Tuesday, I was sure we were in for a miserable day. 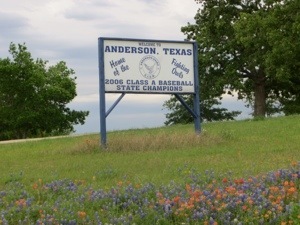 The drizzle didn’t last, and it began to clear as we entered Anderson. You do know you are in Texas when even the small towns cheer for their athletic teams. 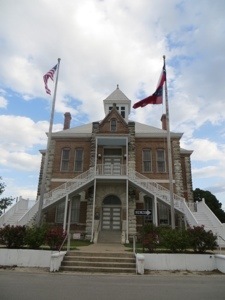 The Grimes County Courthouse, built in 1893, is located in Anderson. 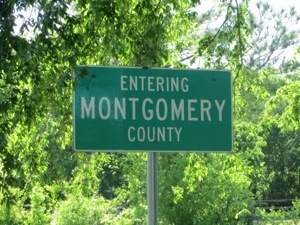 Shortly, we rode into Montgomery County, and to our first SAG stop in Richards. The sun came out and we enjoyed a hot chocolate to warm us. 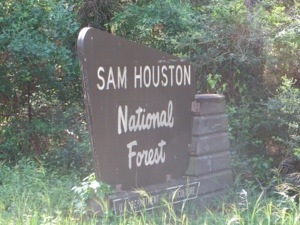 With the sky now blue and temperatures rising, we entered Sam Houston National Forest, and a wonderland of tall pine trees – so beautiful and majestic. 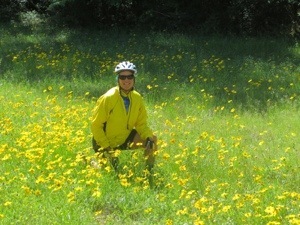 There was also an abundance of yellow daisy-like flowers. 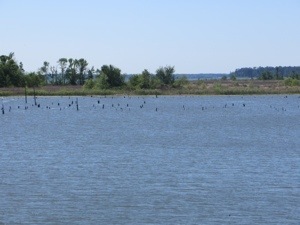 We also rode across Lake Conroe, which appeared to have low water levels with exposed tree stumps. 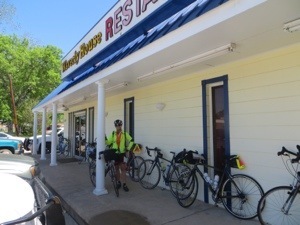 At mile 43, we stopped in New Waverly for lunch – huge baked potato with chopped beef and BBQ sauce. 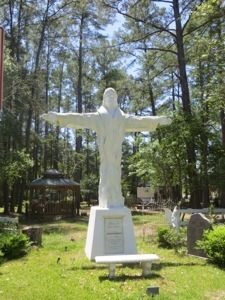 Continuing east, we passed this statue, not far from a small local cemetery. As some of you know, I lived in Houston for a year from 1993-94. 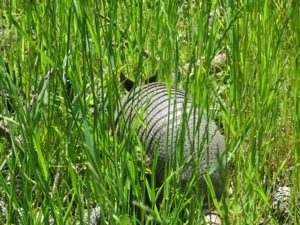 I saw many large dead armadillos on the roads. 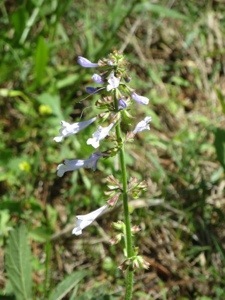 Today I saw a live one beside the road. I am guessing that the lighter colored shell and smaller size indicates a young one. 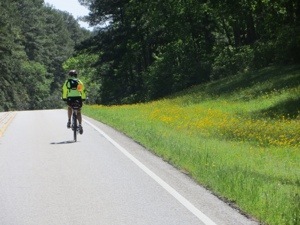 At mile 52, we turned south and enjoyed over 20 miles of a gentle tailwind. It has been a long time since my computer read 17 mph on the flat. And it was fun to see the road signs for curves and discover they were not uphills. 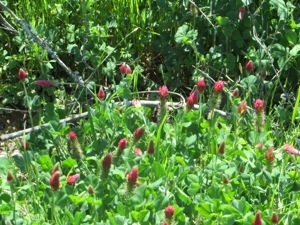 While we still saw some blue bonnets today, our road flowers were predominately yellow, with these interesting red and purple ones. 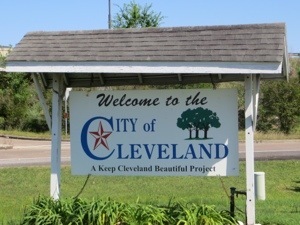 We are staying at a Super 8 Motel in Cleveland, TX in Liberty County. 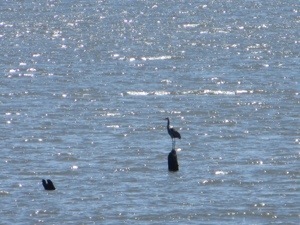 It was suggested I put our route in a wider perspective: we began the day one hour northwest of Houston (by car). 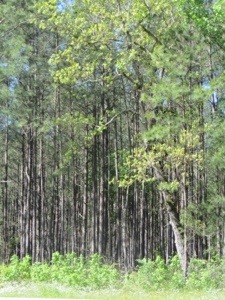 At New Waverly, we were due north of Houston, again about one hour by car. And tonight we are northeast of Houston. 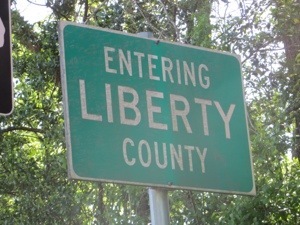 I actually skipped some of the counties we passed through today: Grimes, Montgomery, Walker, San Jacinto and Liberty. 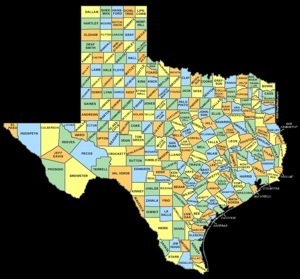 Houston is in Harris County. We are almost out of Texas! Today 75 miles, average 12.6 mph.